As the Parliamentary Representative for the Roseau South constituency, Joshua Francis will be going to Parliament this week to debate the Sexual Offences Amendment Act 2016. Francis said the Bill that parliamentarians will debate when the House of Assembly meets on Wednesday 19 October "is a very important piece of legislation for discussion". He added that it is "timely to take stock of our legislative response to dealing with sexual crimes, for we are continually bombarded with 'sexual propaganda'"
Recall that Francis, an Attorney at Law is among three high profile individuals who have been embroiled in allegations of sexual misconduct with a minor. 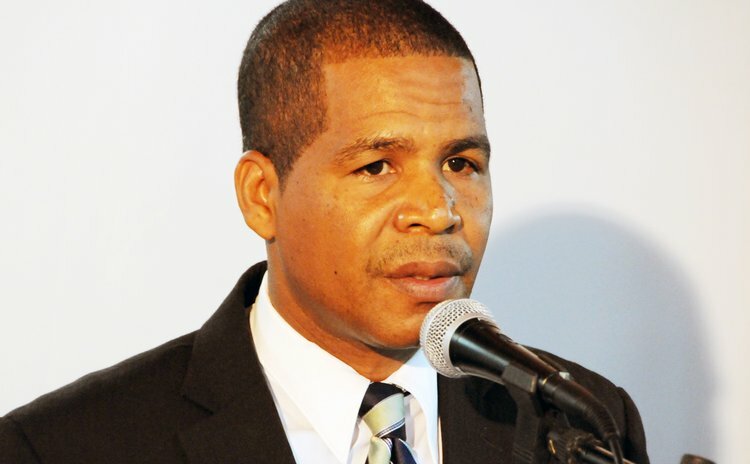 Because of these allegations Francis was removed from his position of Deputy Political Leader of the opposition United Workers Party (UWP) and Prime Minister Roosevelt Skerrit has called on Francis to "resign" as a sitting parliamentary representative. A government parliamentarian and minister, Ian Pinard, who was also accused of misconduct with a minor, has resigned. Francis has challenged the validity of his arrested and the High Court has granted him judicial review on the matter which will come up for hearing on October 20, 2016. Earlier in 2016 there was much speculation that Francis was preparing to resign from parliament and that assumption was given additional momentum when Francis failed to appear for the debate on 2016/2017 budget presented by Prime Minister Roosevelt Skerrit in July and the succeeding response to the budget by Lennox Linton, the Leader of the Opposition. But now there is the sense that Parliamentary Representative Francis is going nowhere. He apparently will not resign. "Josh (Joshua Francis) is going nowhere, trust me when I say that to you," a source who is familiar with the operations of the Parliamentary Representative told the Sun for an earlier article on the subject. "Francis is on the ground will his people, he has sponsored the Loubiere football league and over the past few days has been making donations and check presentations to many groups in the constituency," the source said. So, Francis will be among parliamentarians who will be debating the merits and demerits of the proposed Sexual Offences (Amendment) Act which is a direct response to increases in sexual abuse of minors in Dominican society. Francis is expected to argue that the increase in reported abuse could be due to "the apparent disintegration of the traditional families, westernization, secularization and consumerism have all contributed to what appears to be a growing disturbing trend among people's sexual activities". He is of the view that the apparent increase in reported cases of sexual abuse may be due to the fact that "more persons are reporting what is perceived as sexual wrongs because of increased awareness, increased self-confidence and increase monitoring as a people." One thing is certain- almost every Dominican will tune in during the Second Meeting of the Second Session of the Ninth Parliament under the Commonwealth of Dominica Constitution to hear Francis's contribution to the debate on the proposed Sexual Offences (Amendment) Act 2016.